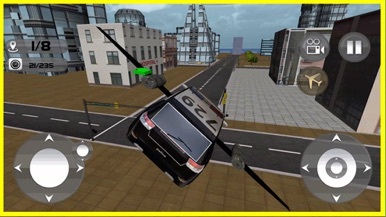 If you love flying police car games then this is the best flying police car simulator available on the store. If you are passionate about police car driving games and want to investigate criminal cases and ready to police car flying like an airplane then this police boat games is an adventure for you! Practice your airplane pilot skills and car driving and boating ability at the same time. Let’s test your flying and driving skills in an extreme police chase 3d in one of the best police boat games and police car mission games. So, get ready for a thrilling cop car flying experience in flying car racing games, for those who love flying car games and police games. San Andreas is perfect for you! Get ready to the thrilling cop car driving experience! 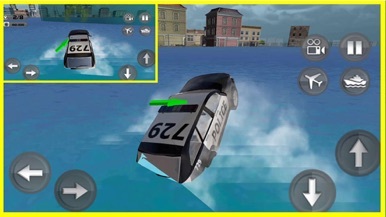 Drive your police car do stunts and drifts in this flying car racing game which is totally different from conventional police car games. This amazing flying car simulator will take you towards an action packed ride in the latest flying car racing games. 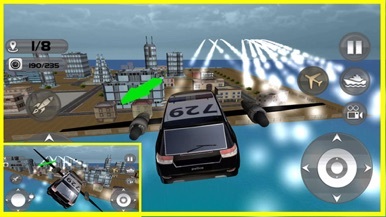 Select your police car in this flying police car game where you have to perform police chase missions. 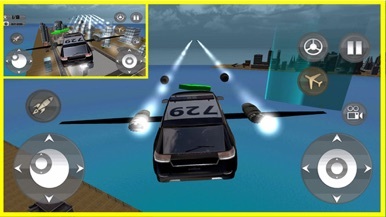 Perform stunts in the sky and ocean in one of the most exciting police car flying games with your flying police simulator. 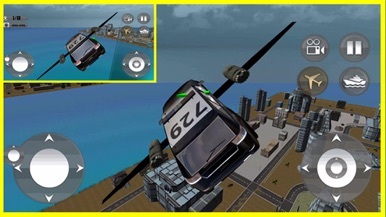 Feel like a pro flying car simulator driver and become the bravest cop in this most innovative flying car games free. This is a jigsaw puzzle where you can choose different modes. WinjiGo Teacher is a comprehensive app that allows teacher to access courses smoothly. It facilitates course browsing and announcements across the learning process.